Should Rangers overcome Aberdeen in the quarter-final replay on 12th March, they will play Celtic in the semi-finals of the Scottish Cup. 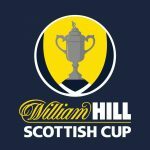 The tie will take place on the 13th/14th April at Hampden. Should Rangers overcome Kilmarnock in the fifth-round replay on 20th February, they will travel to Aberdeen for the quarter-finals of the Scottish Cup. The tie will take place on the weekend of the 2nd of March 2019. Rangers confirm they’ve signed Glen Kamara sooner than expected. Having signed a pre-contract agreement to join in the summer, Rangers paid a small fee to bring him in in January, instead. He now signs a four and a half year deal. He will wear the number 18 jersey.